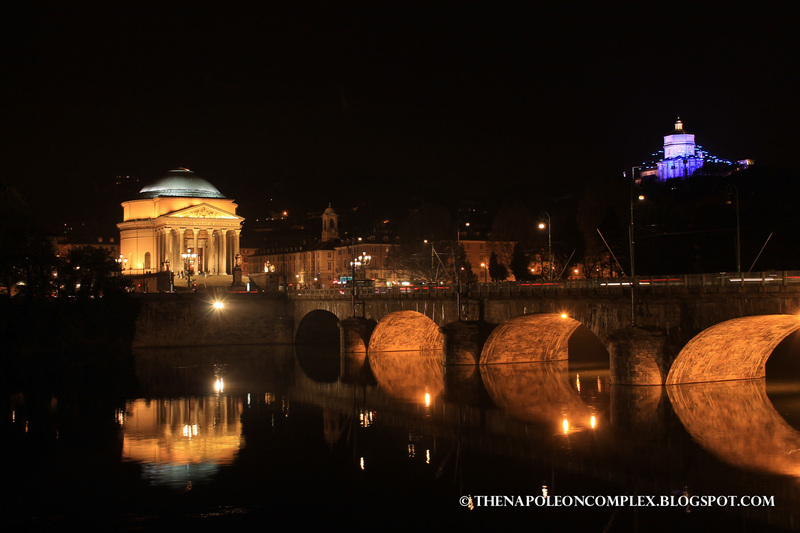 Turin is hands down Italy’s most underrated city. It’s also my favorite. Yes, above Rome, above Florence, above Venice, and above Milan. 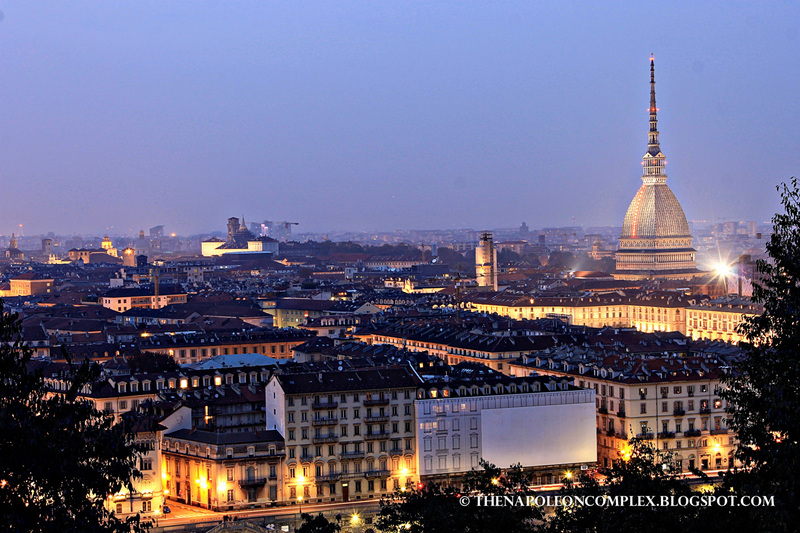 You’re probably wondering why it’s taken me an entire year to write about Turin? No easy answer other than I’m a lazy bum. It’s true. 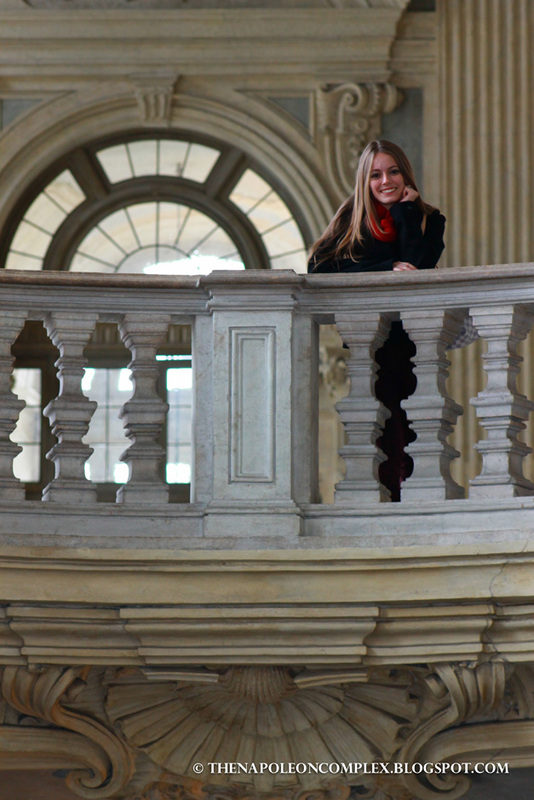 Last year, Jaime had to go on a business trip to Turin for a few days so we decided to head over the weekend before and get a head start on exploring. 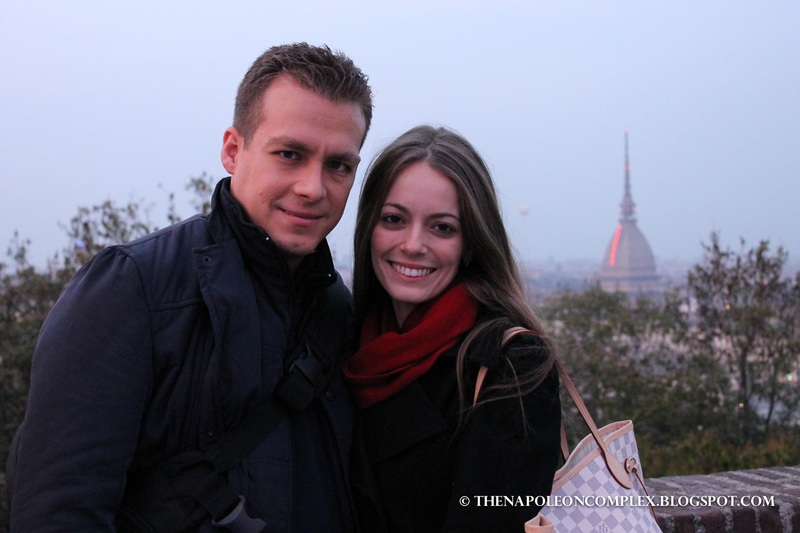 It was our first time outside of Rome, so maybe this contributed to the magic, but it was wonderful. After we got back, I should’ve written about it right away, but one thing led to another and we signed the contract for our rental, moved in, and before I knew it we went back to the States for Christmas and I still hadn’t written about Turin. 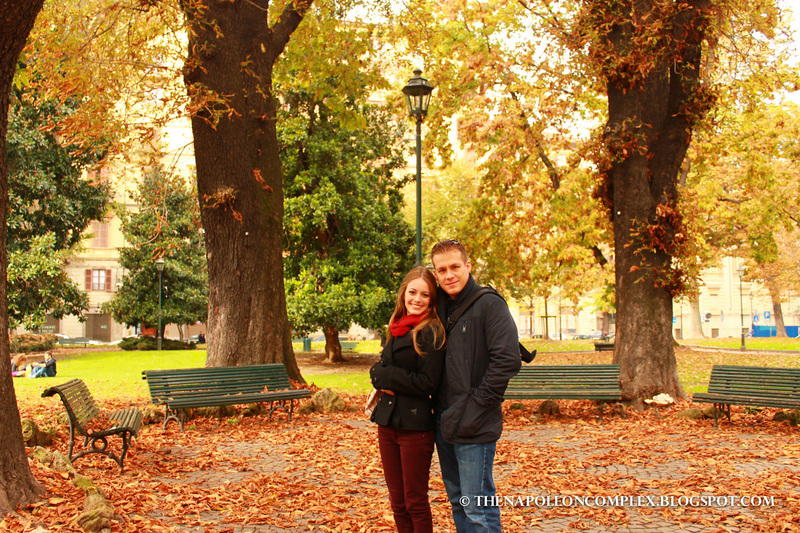 Now since it’s all chilly and fall-like in Rome (minus the wonderful autumn colors on the foliage, which doesn’t really happen in Rome) I figured it’s the perfect time to do a little reminiscing and give you guys all the reasons why you should stop everything you’re doing, book a flight, a cruise, a train, a horse and RUN to Turin! 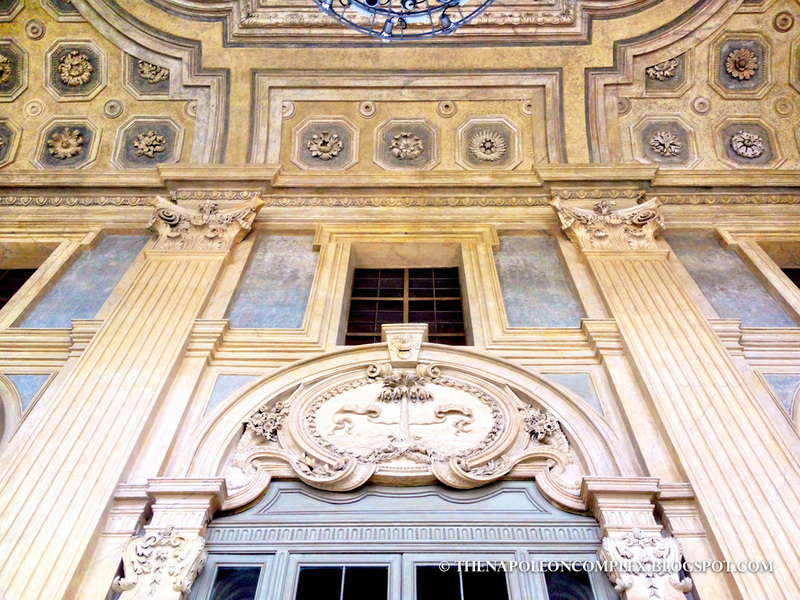 Turin was Italy’s first capital in 1861, but it also used to be home to Italy’s royal family, the House of Savoy. This means the city is filled with palazzi, all of them part of the UNESCO listing of the Residences of the Royal House of Savoy. 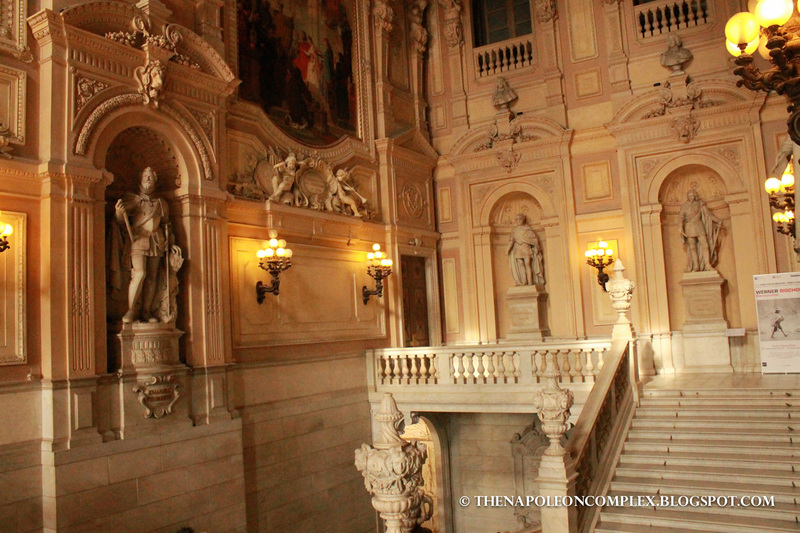 We took a tour of the Royal Palace of Turin (Palazzo Reale di Torino) and it’s still my favorite royal palace in Italy out of all the ones we’ve seen. The inside is elegant and the Royal Armory is absolutely spectacular. Next to the Royal Palace is also the Royal Library, which houses important manuscripts and works by Italian artists. The most famous of these is Leonardo Da Vinci’s self-portrait. We thought that it was always on exposition, but it’s not. However, I found out a few days ago that it will be available for public viewing until January 15, 2015, so I may have an excuse to take a trip to Turin before then! 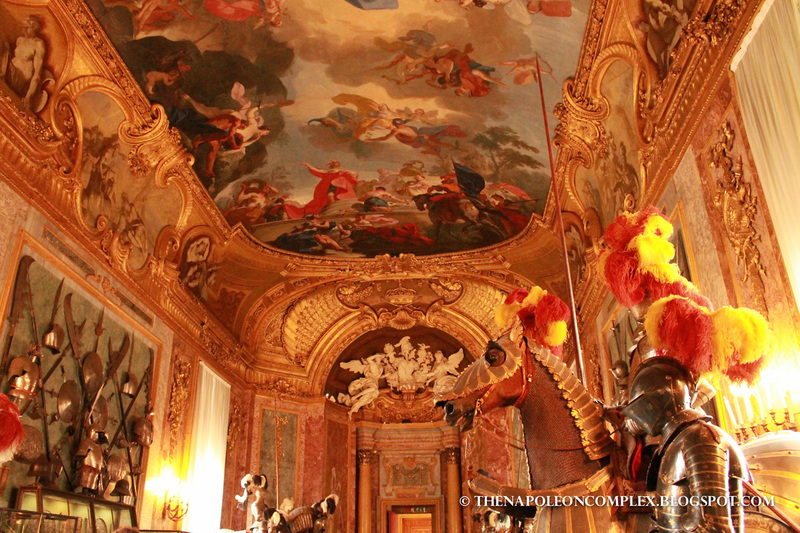 Another important palace is the Palazzo Madama, also in the same plaza as the Royal Palace. 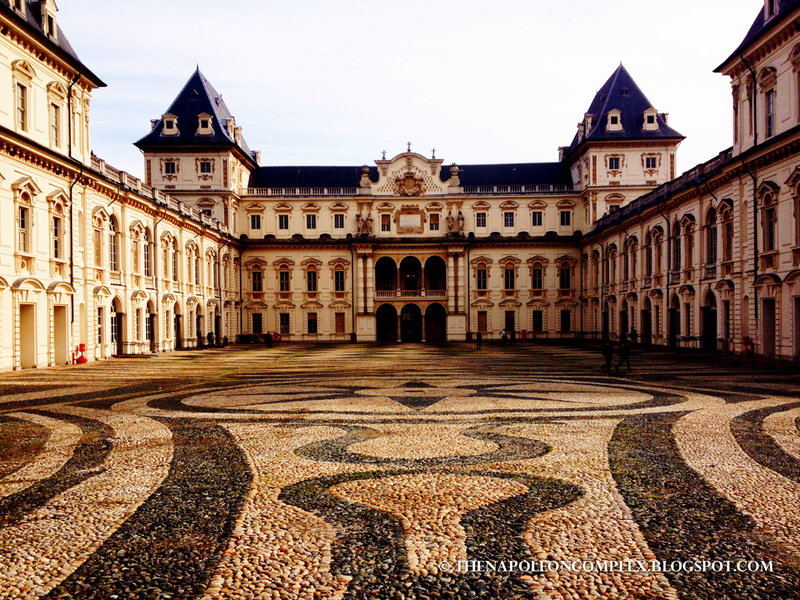 Today it houses Turin’s Civic Museum of Ancient Art. 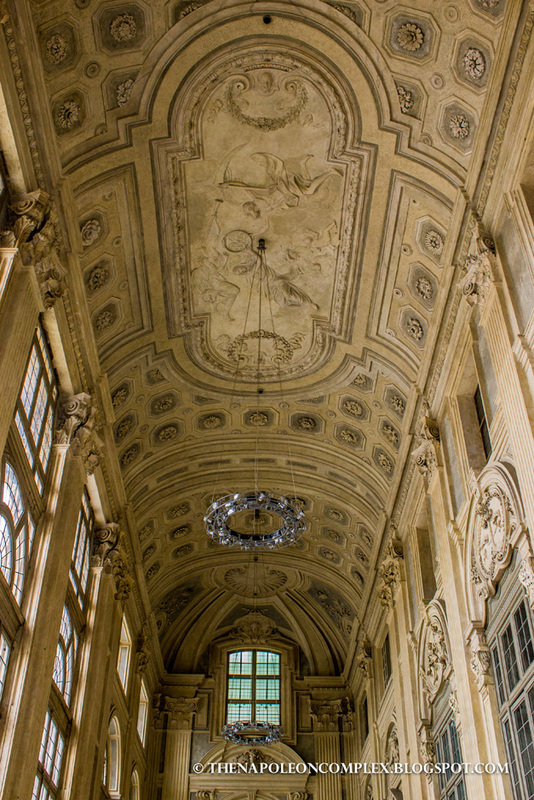 I can’t tell you about the quality of the Museum because we didn’t want to pay the entrance fee, however, you can go inside the palace and at least see the entrance hall for free, which is absolutely stunning. Yet another palace inside the city (there are actually a total of 5 in the city) is the Castello del Valentino located inside Valentino Park. I had the opportunity to at least take a picture of it from the outside on a walk through this beautiful park. 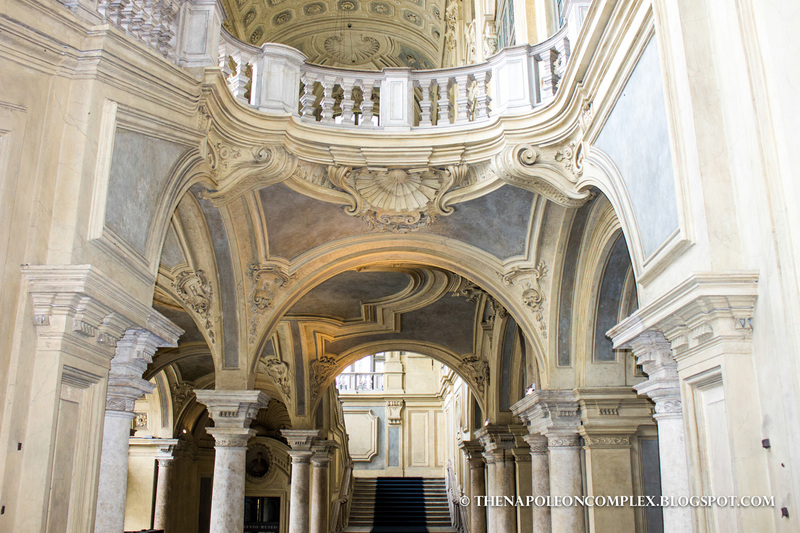 It is used as the main building of the Architecture School of the Polytechnic University of Turin. Can you imagine going to school in a UNESCO site?!?! 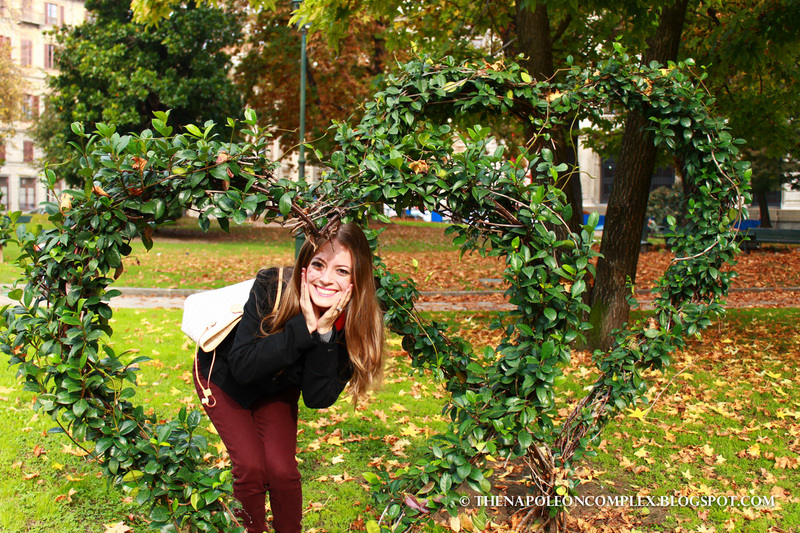 I have never seen so many beautiful little parks and magnificent piazze in such a short walking distance. 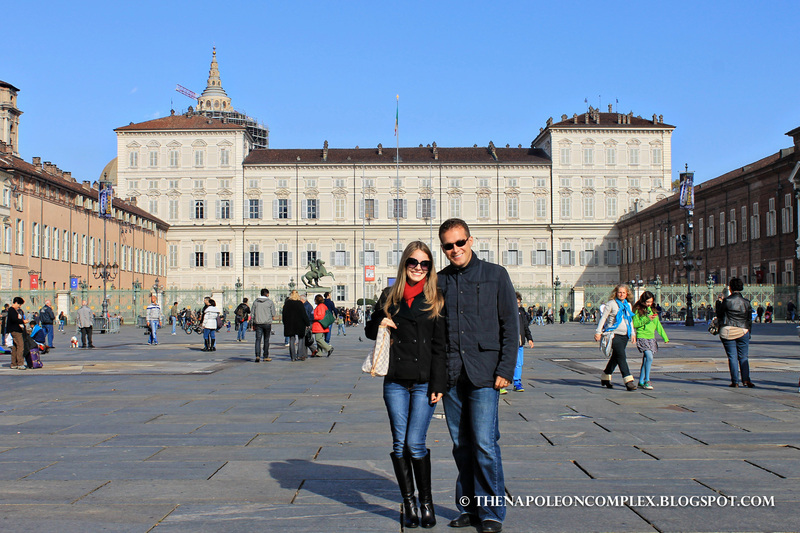 Of course there’s the Piazza Castello with the Royal Palace, which you can see in the picture above. 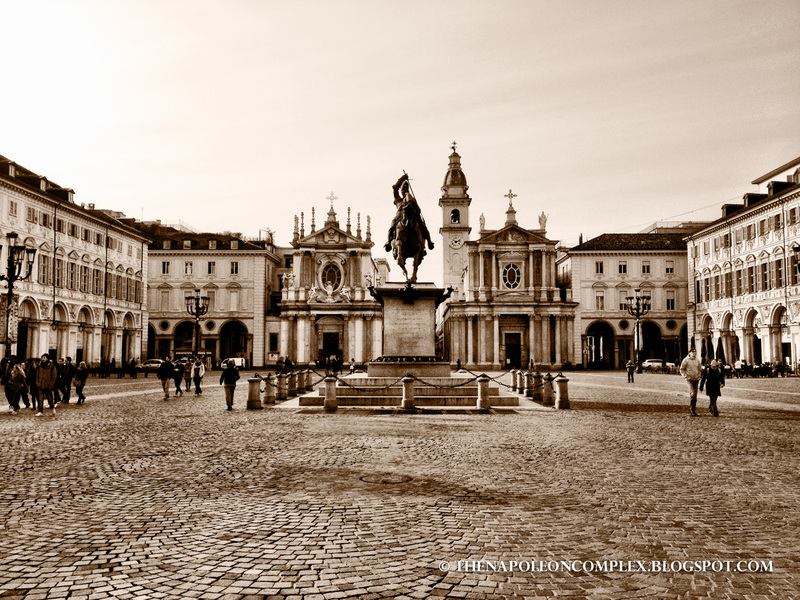 There’s also Piazza San Carlo, which is my favorite. I have about a million pictures of this piazza from every angle! It has twin churches, the Chiesa di San Carlo and Chiesa di Santa Cristina, and an equestrian statue of Emanuele Filiberto, Duke of Savoy from 1553 to 1580. An iPhone picture that looks straight out of a movie! Then there’s Piazza Vittorio Veneto next to the River Po. It’s big and beautiful, especially at night during the holidays when it’s lit up with Christmas lights. Even though we went the very first weekend of November, they already had lights up all over the city! 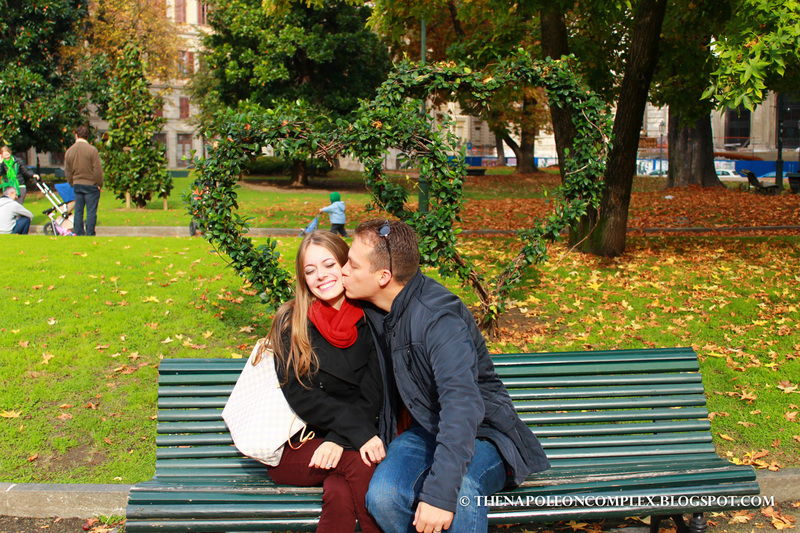 We also just casually bumped into many small parks along the way, the cutest was Giardini La Marmora, not too far from Piazza San Carlo. 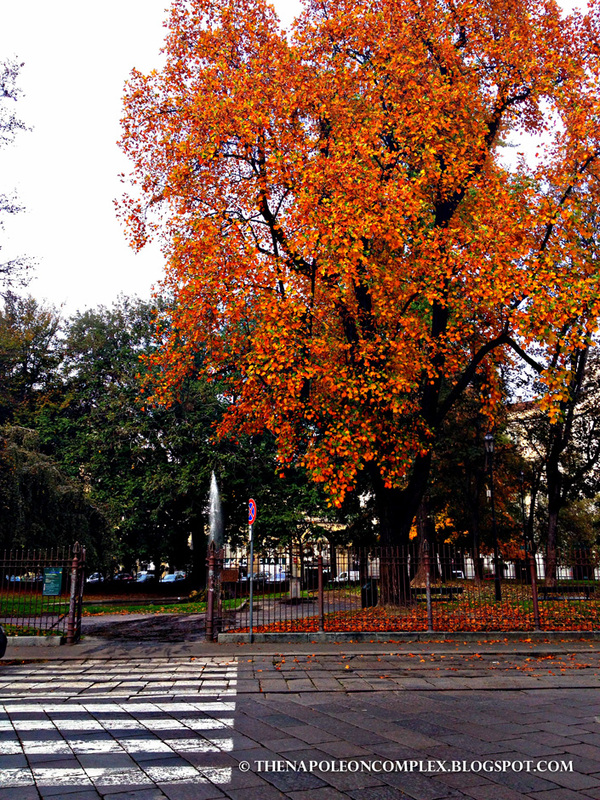 Another small park I stumbled upon was Giardino Sambuy, which was boasting stunning fall foliage. Come on, Rome, get with the program! Let’s get some red-leaf action! Finally, Parco del Valentino, Turin’s second-largest public park, is great for a walk if there’s cooler weather and you can see the Castello del Valentino, which I mentioned above, along with some very nice fountains too. Snapped this picture with my iPhone and it’s one of my favorites! 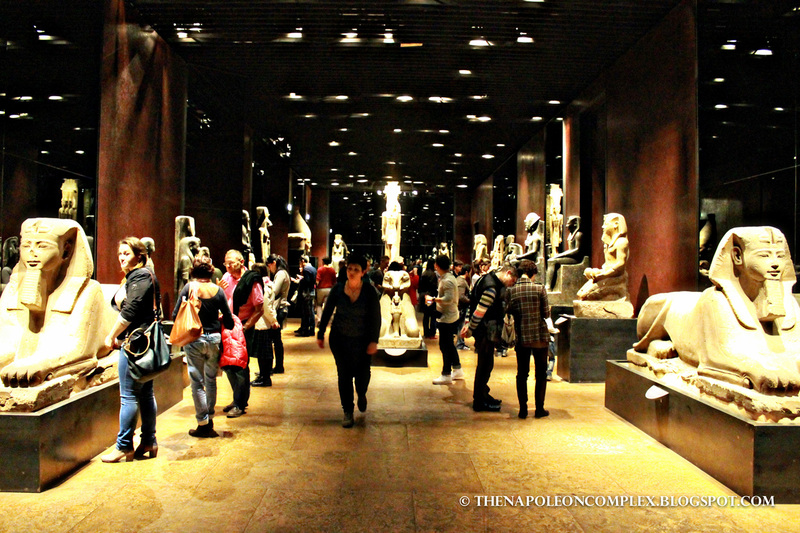 You can tell that this was our first trip in Italy because we did everything there was to do in Turin, including visiting the Egyptian Museum. Nowadays, we tend to do some slow traveling and hit up one, max two, museums per city or risk dying of information overload. But I am so glad we went to this museum. 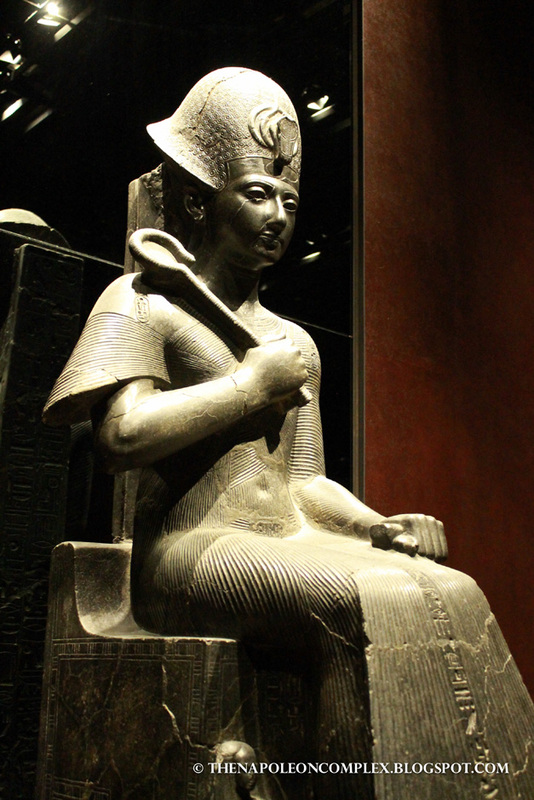 Turin’s Egyptian Museum is the second-largest museum of Egyptian Antiquities in the world! Wanna know where the largest one is? Cairo. 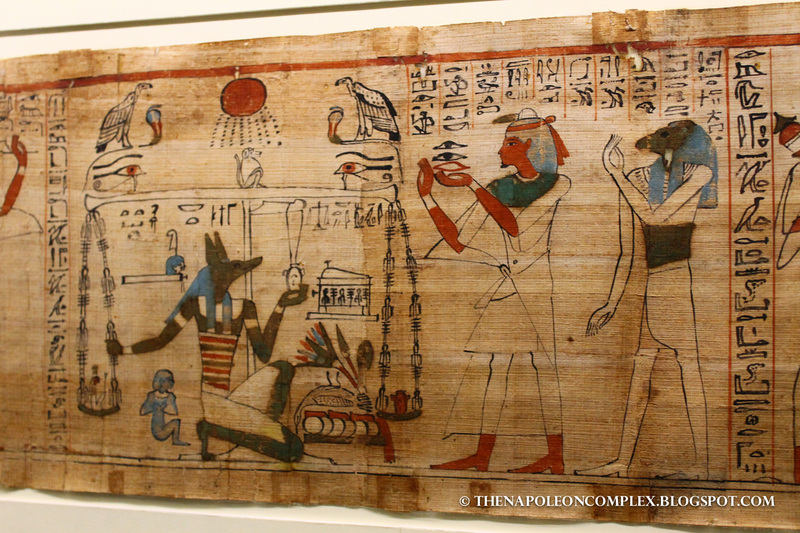 This means if you want to see Egyptian things without going to Egypt, you go to Turin. Some of the things you’ll find are the coffins, the mummies, the cat mummies, the papyrus, and the most ancient Book of the Dead in existence. 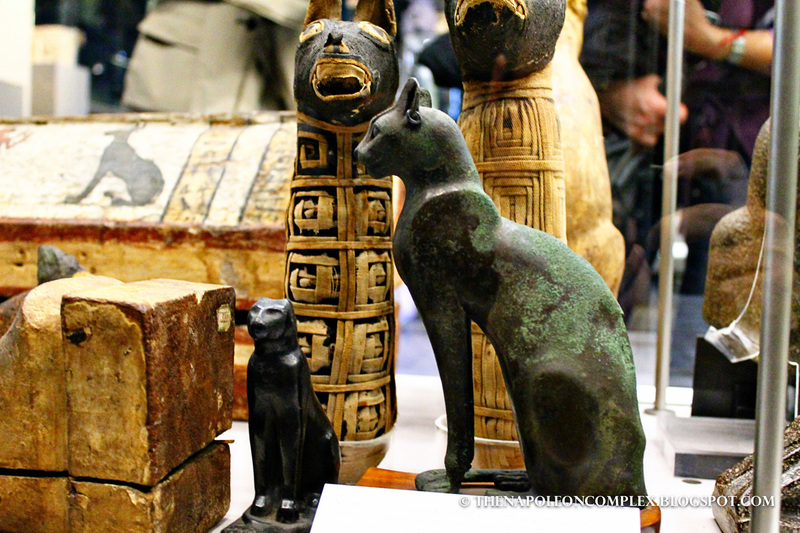 It really is a must-see if you’re a fan of all the Ancient Egyptian stuff. 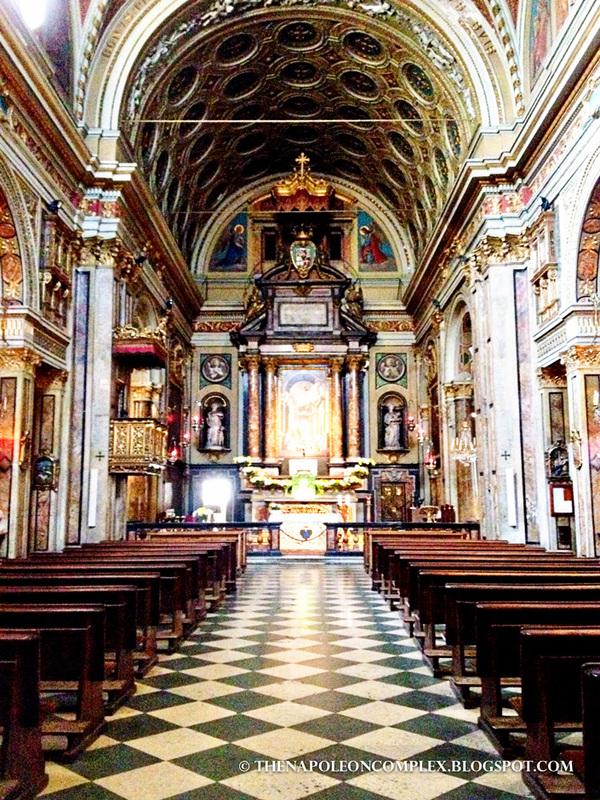 You’re not in Italy if you don’t visit a bunch of churches, right? Turin is no exception to this rule and like I mentioned above, we did it all. 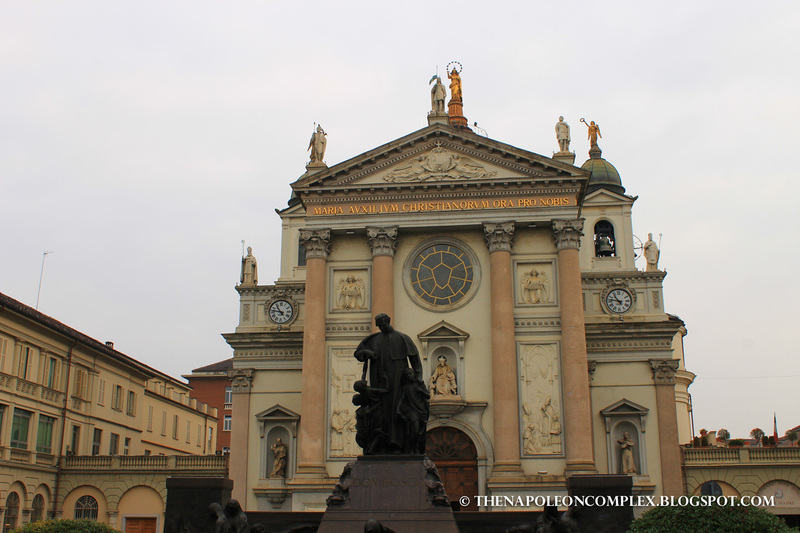 First, there’s the Turin Cathedral, dedicated to St. John the Baptist. 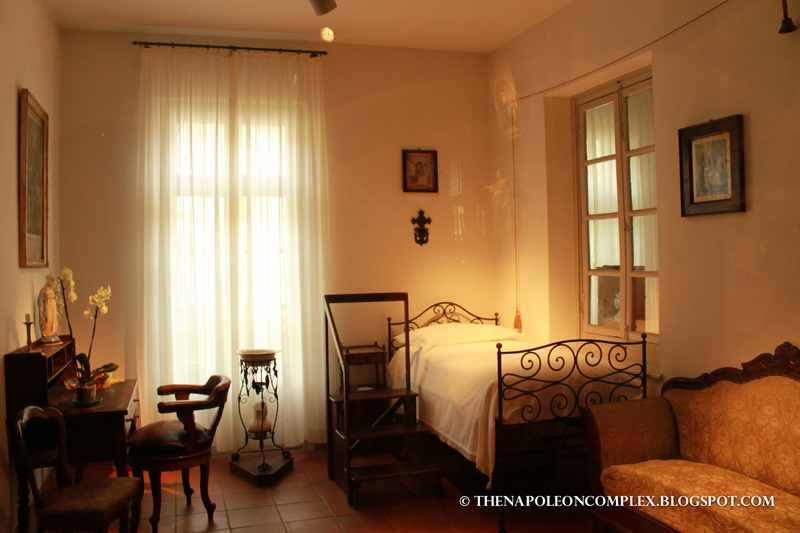 It houses the Chapel of the Shroud, which is where the famous Shroud of Turin is located. The shroud is a relic believed to be the burial shroud of Jesus. Note that the real shroud is not always available for public viewing, but they do have a copy which gives you an idea of what it looks like. I read in an article somewhere that it’s supposed to be on exposition sometime in 2015, so if you’re really interested a Google search will probably yield more information. 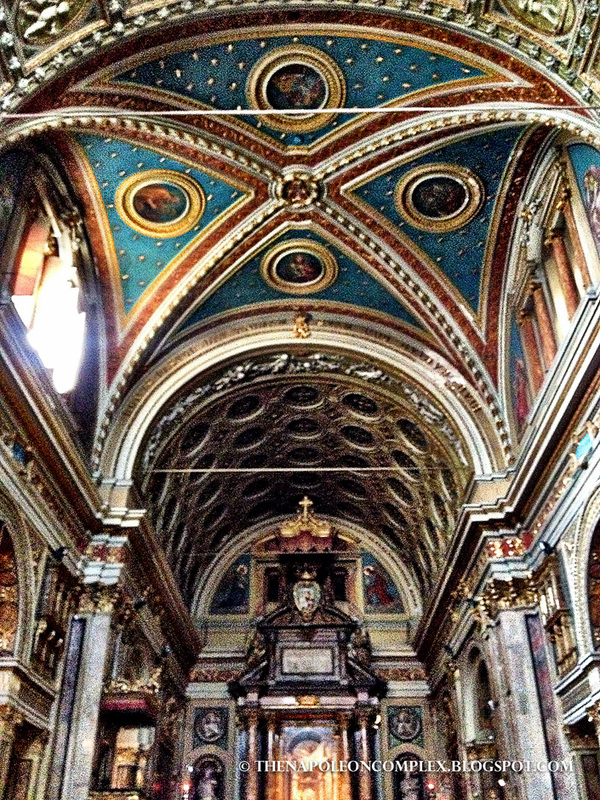 Basilica of Our Lady Help of Christians (Santa Maria Ausiliatrice) was of particular interest to Jaime. 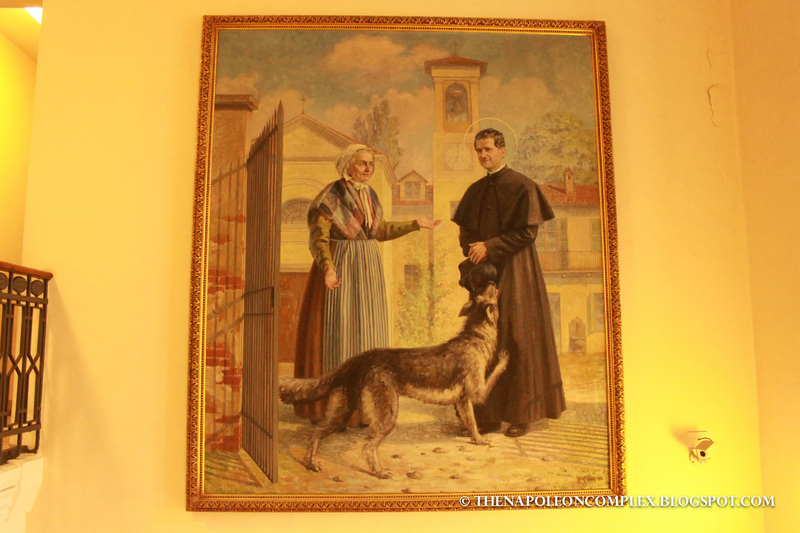 It was part of the St. John Bosco’s home for poor boys and has a small exhibition with some of St. John Bosco’s personal things. 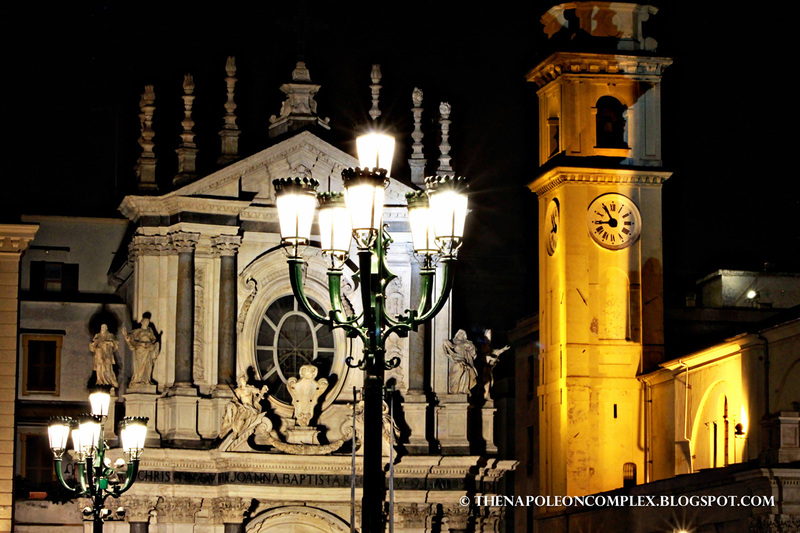 We saw the Basilica of Superga at night, without our camera, so we have no pictures of it, but I’m mentioning it because it has an interesting story. In 1706, Duke Victor Amadeus II of Savoy climbed the hill of Superga to see Turin besieged by Franco-Spanish troops during the War of Spanish Succession. He supposedly got down on his knees and swore promised (Jaime says it’s more politically correct) to the Virgin Mary that if the Piedmontese armies defeated the French, he would build a monument for her. They did, and so he commissioned the Basilica of Superga. It was also in Superga where, in 1949, an Italian plane carrying the entire Torino football team (a legendary team that had won four titles from 1946-1949) crashed into the back of the church, killing them all. 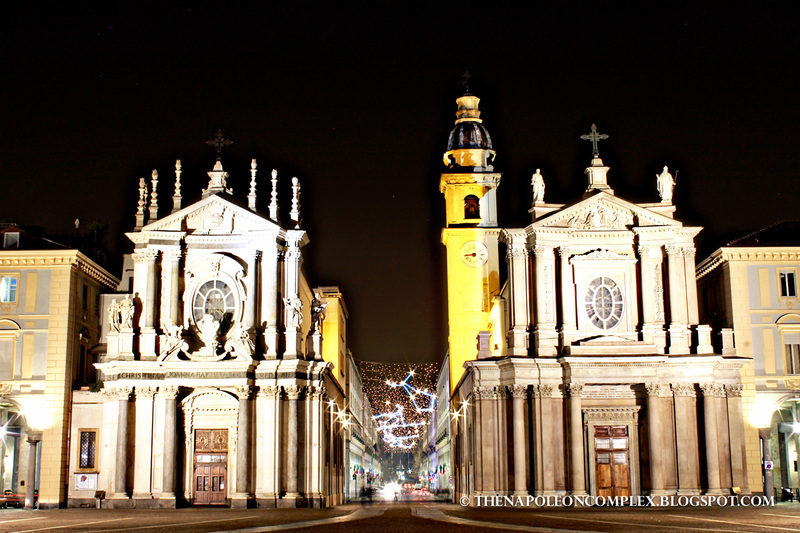 Santuario della Consolata is another church we walked to, mainly because it has the best view of Turin imaginable. 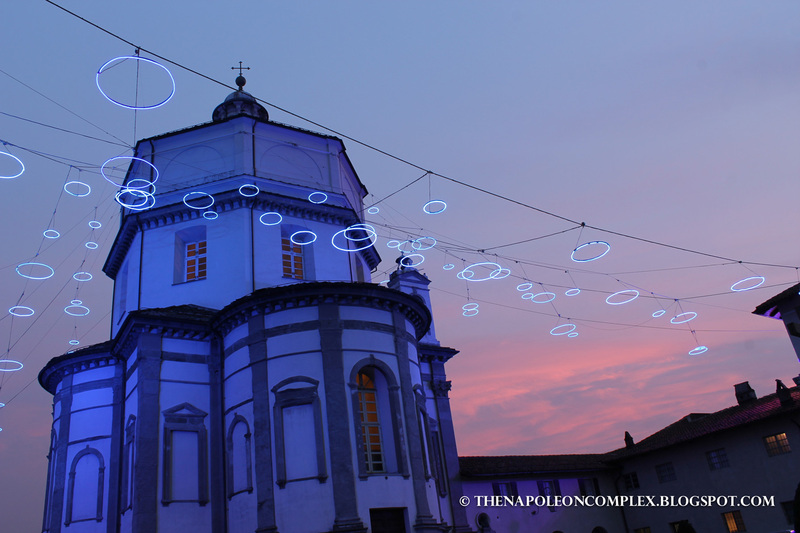 We arrived too late in the evening to go inside the church, but we did get some amazing blue hour pictures. 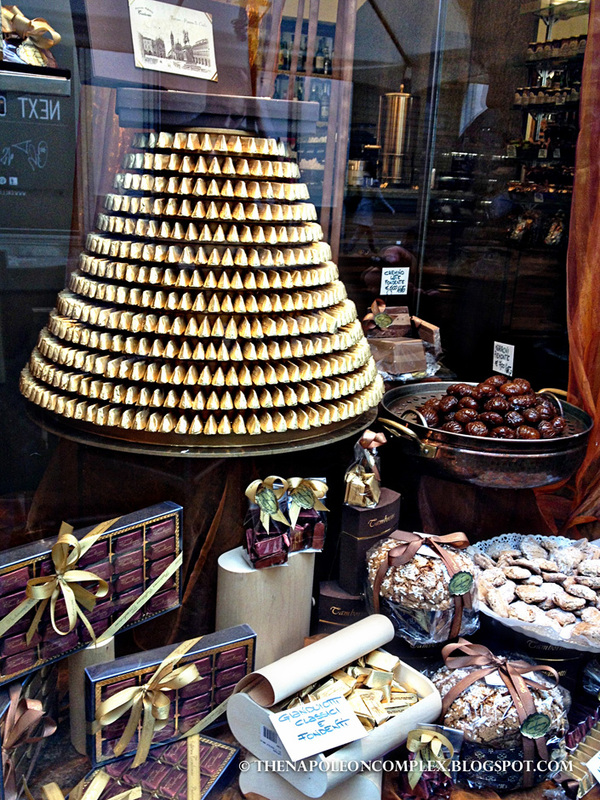 Okay, seriously, Turin is the chocolate capital of Italy. Ask anybody from the region and they’ll assure you it’s better than anything Swiss or Belgian (believe me, I’ve asked). And if you like Nutella, well, they kinda invented it. 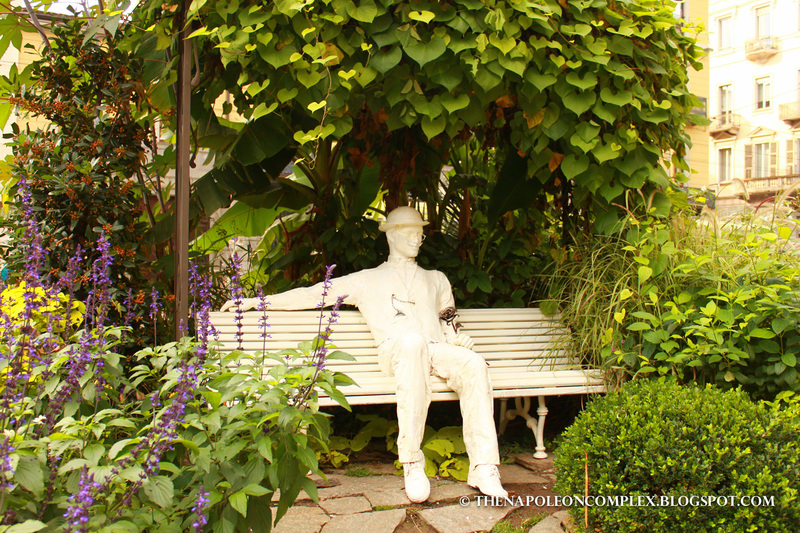 The story goes that during Napoleon’s reign imported raw chocolate was hard to come by, so the chocolate makers started incorporating hazelnut to make it more affordable. 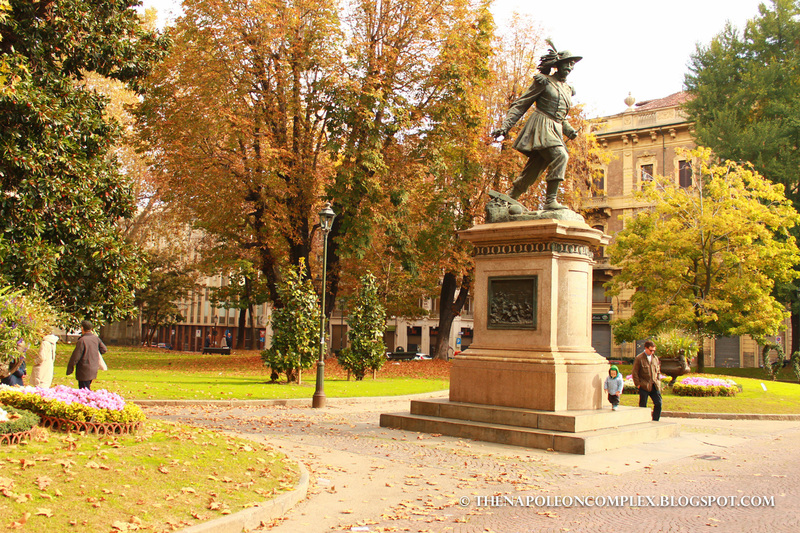 Today, Turin is known for gianduia, the mix of hazelnut and chocolate (it’s also better than the bottled Nutella). In the summer, you’ll even find gelato di gianduia (Nutella ice cream anyone?). In the winter, you can go for some hot chocolate. 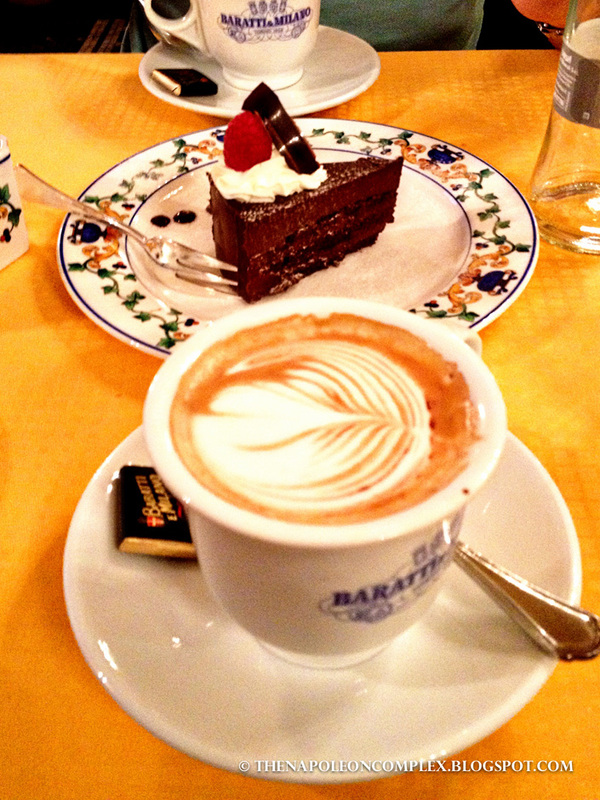 In fact, you cannot leave Turin without having hot chocolate. This isn’t any of that powdered crap you make back home in the States. This is hot chocolate so hot and thick, that the spoon stands up straight in it. It’s also not for the faint of heart, it’s so rich and dark that even I have a hard time drinking it all, but Jaime loves it. 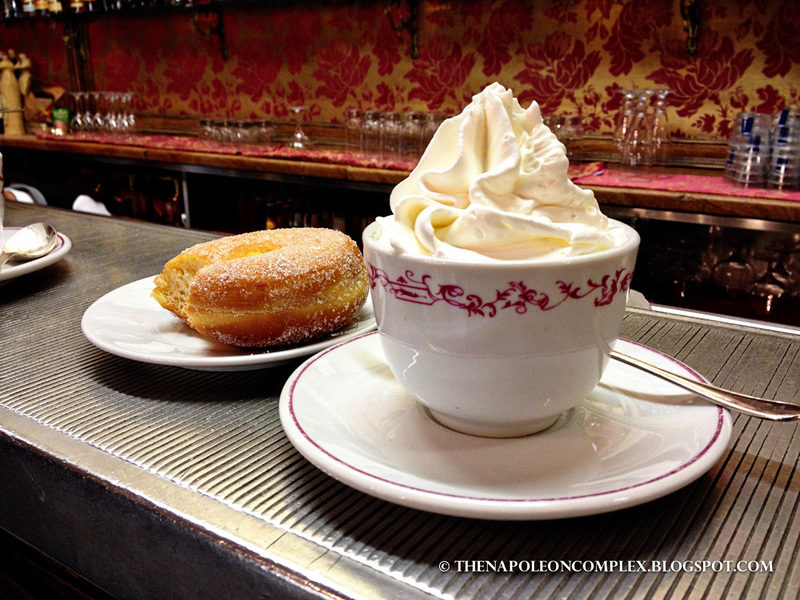 You can ask for it topped with panna, a type of whipped cream that is nothing like you’re used to. It’s so thick that it almost has an ice cream-like consistency! And if you want to go for the real local stuff, you go for some bicerin. 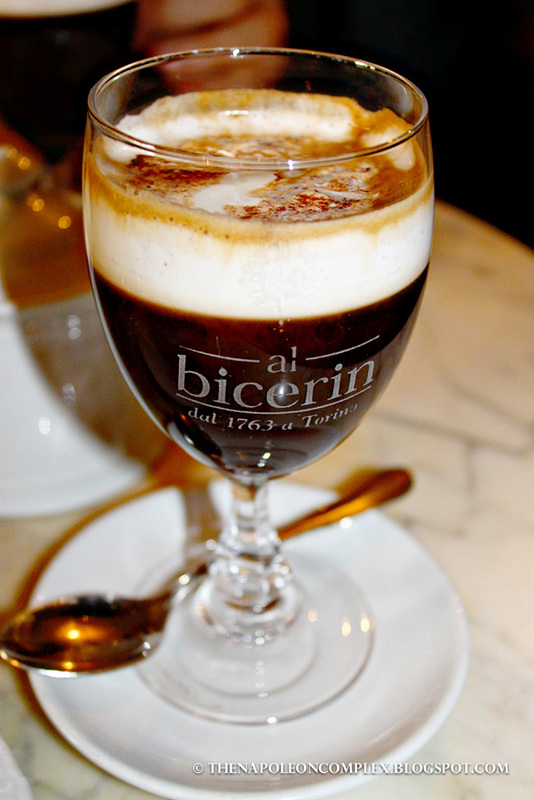 It’s a hot drink made from espresso, chocolate and milk and there’s only one place to drink it: Caffè al Bicerin. More than likely there will be a line out the door to get into this tiny little cafe, but the wait is more than worth it. 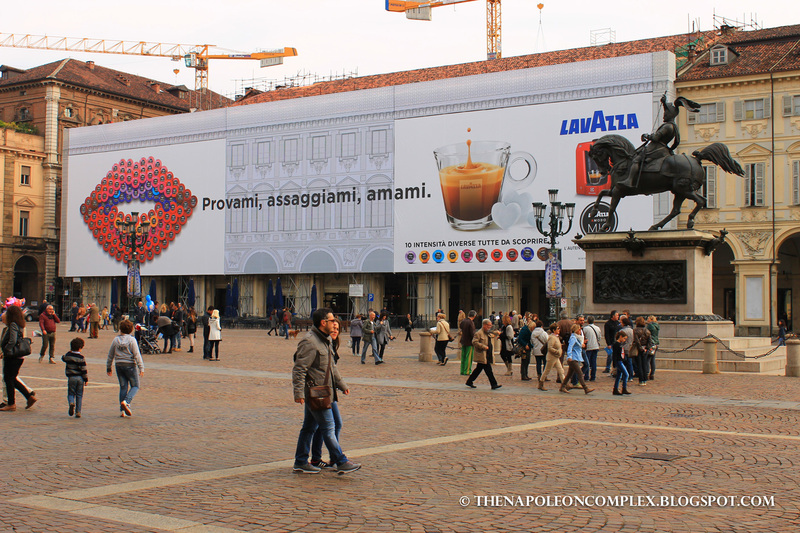 Turin’s cafes are world-famous. Some of the most historic ones include Baratti & Milano and Caffè Torino, where once you walk in you feel like you’re about to have some tea with the Queen. Prices aren’t cheap, especially if you go to the ones in the main piazze, but it’s definitely worth it. If you aren’t up for a cappuccino break at a table, you can always just do like the Italians and have your drink at the bar, where the price will drop significantly. Piedmontese cuisine is not typically the cuisine we think of when we imagine Italian food, but all the Italians know that if you want to eat well, you go to Piedmont. The best restaurant we have been to in all of Italy was in Turin, a place called Bastian Contrario. You have to make reservations and you cannot walk there because it’s a little ways from the city center, but it’s worth it. We took the bus to get there and they were kind enough to call a taxi for us to take us back after dinner. I’ll tell you right now that if you want to make the most out of this place, you shouldn’t eat all day and come as hungry as possible. Dinner started with a series of at least 50 different plates in an antipasto buffet. There were some cold traditional, seasonal dishes, and some hot dishes, and you eat as much as your heart desires. Be warned though that just when you think you’re stuffed, the waiter comes and recites the evenings first and second courses, then dessert! It was a ton of food, all absolutely delicious for a grand total of 50€ a person. It’s not cheap, but it is truly a unique experience of everything Piedmont cuisine has to offer. Thanks for reading! 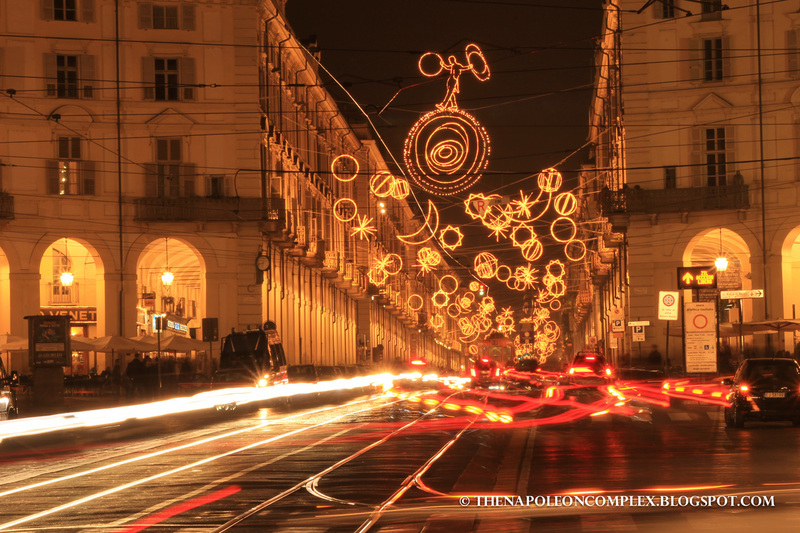 Turin really has been my favorite city in Italy. 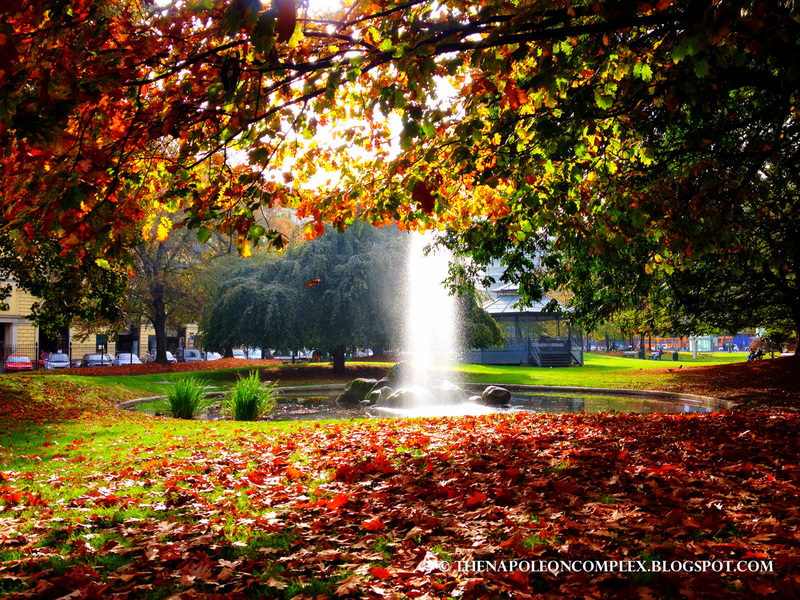 It’s absolutely perfect, especially when we went in the fall. Hi, thanks for reading! How long will you be in Rome? I can tell you right off the top of my head that the BEST gelato place is called Come il Latte (you can look it up on Yelp for an address) so if there’s one place you go to, it’s gotta be that! You’ve chosen a pretty good time to come to Rome since there are a lot less tourists at this time of year. This week the weather has been pretty bad, but hopefully next week you’ll have some sunny days while you are here! Anyway, if you have any other questions on Rome, don’t hesitate to email me, I’d be happy to help! Awesome! 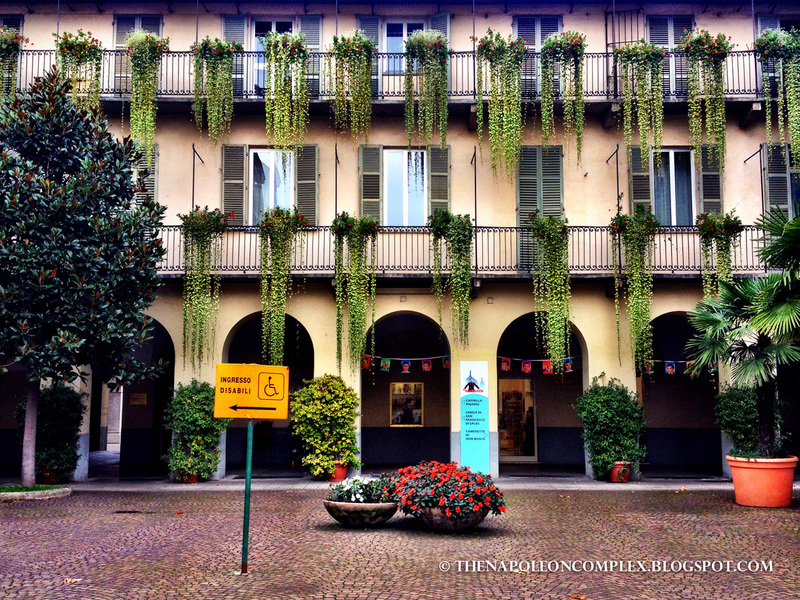 I have plants in the future to move to Turin. I lived in Italy for a while, first in Sicily and then in Emilia Romagna. Can’t wait to go back. Your blog is adorable. Thanks for posting! I just found this post via the Italy blog Awards. Thanks for highlighting my city so well! Please come back soon!! Haha, thank you so much for reading. 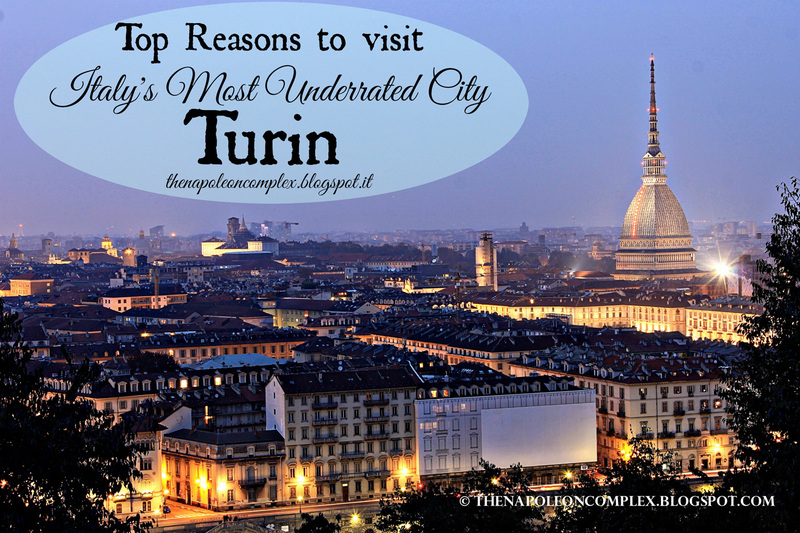 Turin is still number one in my book!